Considering I’m not a Belgrade local, I nevertheless found myself becoming quite the connoisseur of the shopska salad. This simple but thoroughly addictive dish, made from crumbly feta, tomato and cucumber, became my quality standard. Whichever restaurant I found myself in, if the shopska wasn’t up to scratch then forget it. I first came to Belgrade some years ago, and the changes since then are quite remarkable. It thankfully remains one of the few highly affordable cities in Europe, the numerous scars of its turbulent past are still in evidence yet there seems a real sense of drive and progress about the place these days. There are some seriously good boutique hotels, many outstanding restaurants (shopska salad approved of course) and significant investment in new development, particularly along Belgrade’s iconic river fronts. Serbia lies at the very crossroads of central Europe. It is a real melting pot of a country; the legacies and traditions of its former occupants remain here like souvenirs from the past. And bustling Belgrade is at its beating heart. It’s an exciting time to visit and it’s a city worth discovering away from the obvious sights. So come with me away from the tourist hotspots and let’s uncover Serbia’s capital. Perhaps Belgrade’s most visited park, I think it’s nevertheless the perfect way to begin any visit to the city. 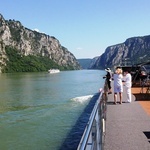 Strategically perched atop the peninsula where far below, the Sava joins up with the mighty Danube, it was one of the most fought over positions in Southern Europe. First the Celts, then Romans, Serbs, Ottomans, Bulgarians and Austrians all played a part in the fortress’s rich tapestry. 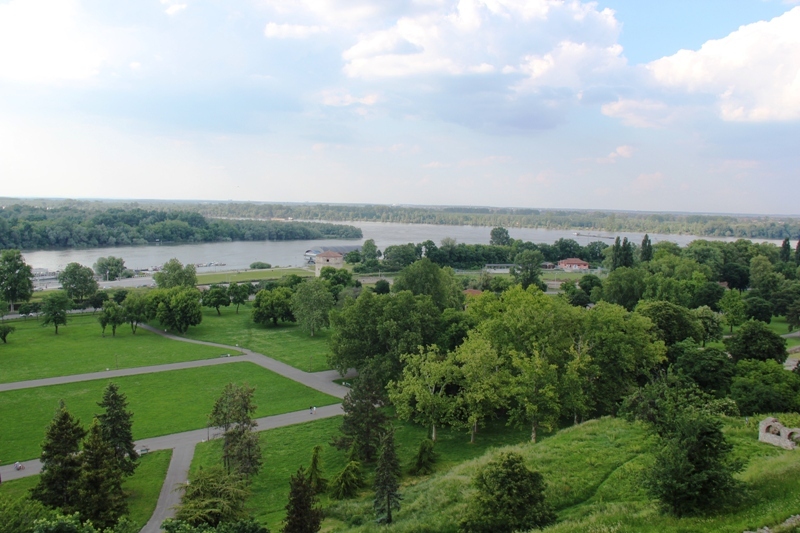 The towering views of the Danube and Sava apart, it is a great place to orient yourself to the city and join the locals and tourists strolling around the citadel and the park. The Roman Well is worth a visit, mainly because it isn’t Roman at all, but built in the 18th century. In the park I’m reunited with a Belgrade icon; a lady in her 90s who has had a stall here for decades. She flogs old Serbian dinars from the hyperinflationary 90s, when they wouldn’t even buy a toothpick. As before, her 500,000,000,000 dinar bank note is the star of her collection. ” I’ll sell you the whole set for €10″ she cackles. From the fortress I take a stroll along the pedestrianised Knez Milhailova,which follows the original Roman artery through the old town. It’s lined with restaurants, cafes, shops and street performers and it’s the perfect spot to indulge in some people watching. Most of the tourists head for the Temple of St. Sava, which is a mightily impressive building of course, seemingly hovering above the city from everywhere you look. Still, you might find a trip to the Church of St, Mark a little less crowded. There is a glittering mosaic of the Last Supper here, but really it’s the tomb of 14th century King Stefan Dušan which is the main draw. “Dušan the Mighty” was once the most powerful ruler in Europe and is still regarded by many Serbs as the true father of Serbia. You cannot visit Belgrade without paying your respects to Tito, the former president of Yugoslavia, whose white marble tomb has lain within his former home since his death in1980. It’s a remarkable place for its serenity and the walk up to it through the small park is well worth doing. The Royal Palaces which include the main palace and the White Palace built for the king’s sons, are really quite something. 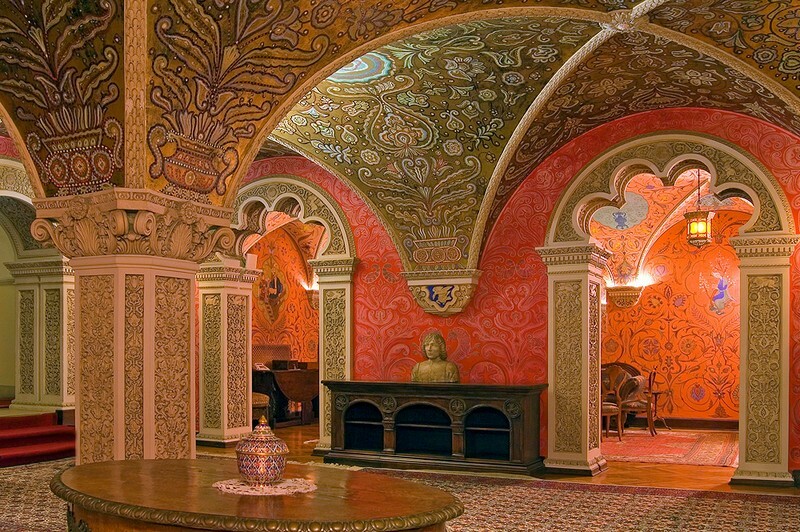 The estate of the royal family built by King Alexander in the 1920s is a great tour but you have to book it in advance. Crown Prince Alexander II and his family have been welcomed back from exile and he often comes down to meet visitors as they walk around. 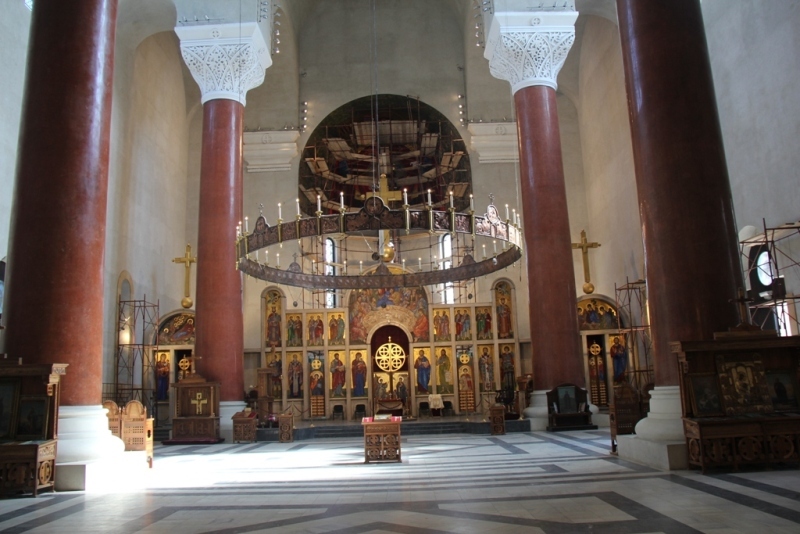 The royal chapel is an example of the Communist era when it was repeatedly desecrated and used as a storeroom. Look for the fresco of Christ with a bullet hole in his forehead. 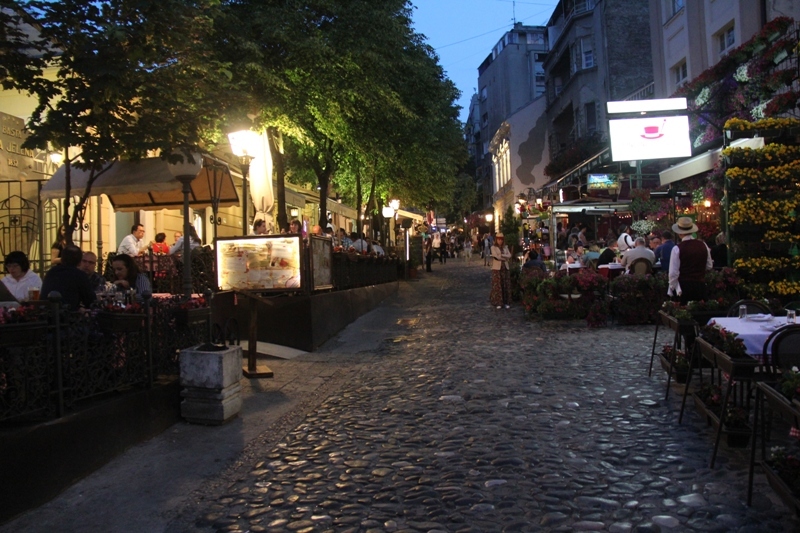 For a taste of vintage Belgrade, Skadarlija is the city’s Bohemian quarter. It’s sloping cobbled traffic-free street is crammed with restaurants and cafes, The air is filled with the scent of grilled meat and the sounds of traditional Balkan Roma bands competing with each other from the restaurant terraces. The local cuisine here is just as popular with the locals as it is with tourists and I enjoy a veritable Balkan banquet at Tri šešira Restaurant AKA the Three Hats. 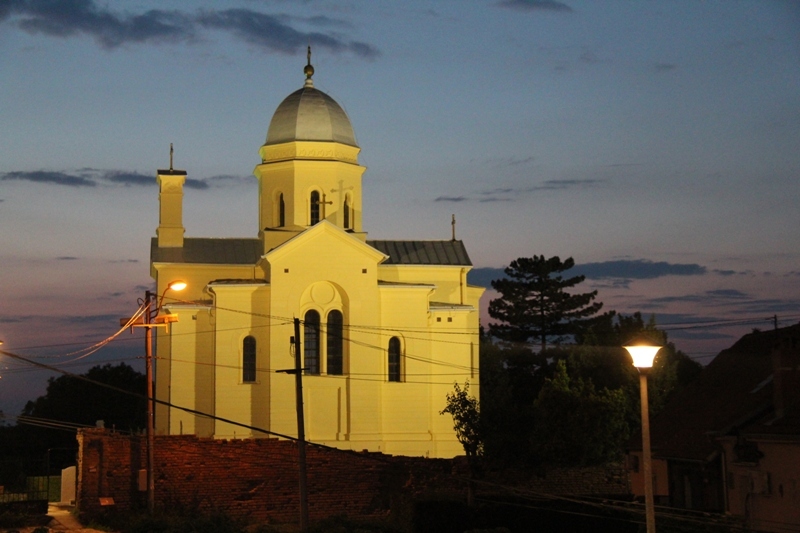 Away from the hustle and bustle of downtown Belgrade, Zemun is a city neighbourhood sitting on the opposite side of the Danube. Once a separate border town of the Austro-Hungarian empire, its old town cobbled river front is lined with restaurants and is very lively particularly at weekends. I make a point of climbing up the hill behind to Gardoš, the Millennium tower, which offers another spectacular view of Belgrade from the opposite side to the Kalemegdan Fortress. Yugoslavia’s thriving Jewish community of over 80,000 was practically eliminated during the Holocaust, but tucked away in the community centre in Stari Grad, the Jewish Historical Museum offers a comprehensive chronicle of Yugoslav Jewry. I chat with Branka Dridic the museum archivist who has artefacts here dating back centuries. She presses a book into my hands entitled “We Survived” a collection of testimonies of the few surviving members of the Jewish community. They are tales of extraordinary bravery and it is book I will cherish. “Tell them about us” she asks me as I leave. I am always good with my promises. We cycle down to the other side and stop near the river where a small derelict tower stands in the middle of an overgrown grass field. “This used to be a fairground back in the day.” says Ivana ” but it became a concentration camp during WW2.” I spot a small lonely plaque marking the spot and think back to Branka at the museum. 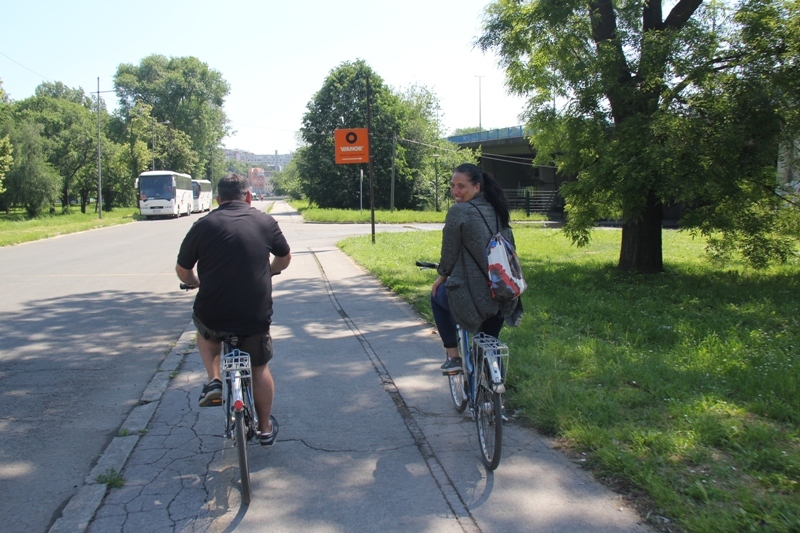 We cycle on, past the monumental Palace of Serbia government building, probably the biggest Socialist-style building in Serbia, to the site where once stood the Chinese Embassy bombed by NATO in 1999. It’s a good place to stop and have a chat with Ivana about today’s Serbia and get a young person’s perspective. We make a quick visit to the infamous Hotel Jugoslavija, once the luxury hotel of choice for visiting heads of state such as Nixon, Carter and even Queen Elizabeth II but now a shadow of its former self. Mainly due to its west wing which the equally infamous Arkan once owned and was bombed by NATO. The west wing remains a bombed wreck, but the whole site has now been purchased by Kempinski and will be redeveloped into a luxury hotel and residences. Our last bike stop is the remarkable Ada Ciganlija, which locals call their “seaside.” It was once an island in the middle of the Sava but became connected to the mainland in 1967. This created a 4km long lake and when pebbles were added, created a beach around the lakeside. Add sun beds and umbrellas and countless hip lakeside cafes and you really do have a resort. Today, Ada Ciganlija is a real favourite with the locals and hundreds of thousands flock here on summer weekends. There’s water skiing, rollerblading, tennis and even a 9 hole golf course meandering through the surrounding wooded park. After burning up calories on the bike, I celebrate a great day out at the jaw dropping Lorenzo I Kakalamba restaurant. Totally off the wall but what an experience. There is enough kitsch in here to keep you amused for hours. 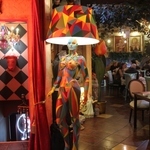 Everything from life-sized mannequins and upside-down sheep hanging from the ceiling, to naked human shaped seats. The food by the way, is half Italian and half eastern Serbian. Serbian nightlife is stuff of legend. What it lacks in its economy, it more than makes up for partying. Just take the EXIT festival in Novi Sad each July, one of the biggest in Europe. 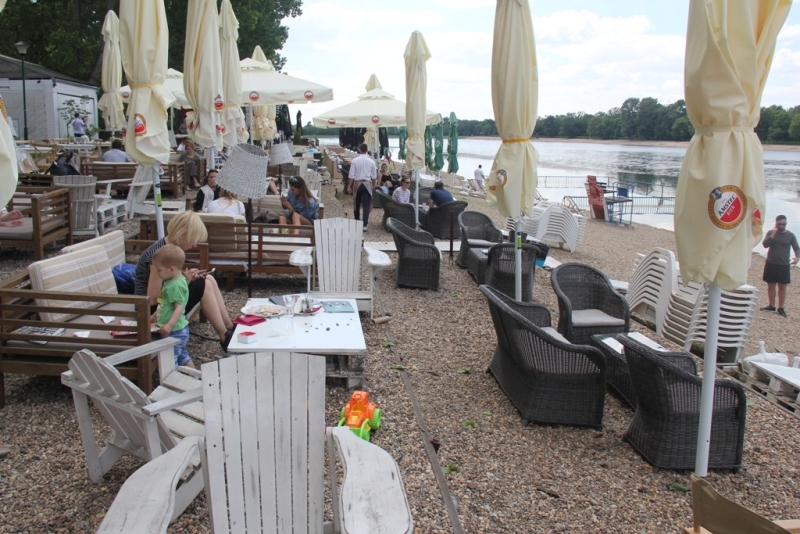 Likewise, Belgrade’s nightlife is epic, particularly down by the riverfronts where hundreds of floating lounges known as splavovi are anchored along the Danube and Sava rivers for the summer. Belgrade is a city full of surprises. Freed of its political shackles it is waking up to its potential and grasping it with both hands. My advice? Go with it and ride the wave. Just make sure you pick the right Shopska salad of course. 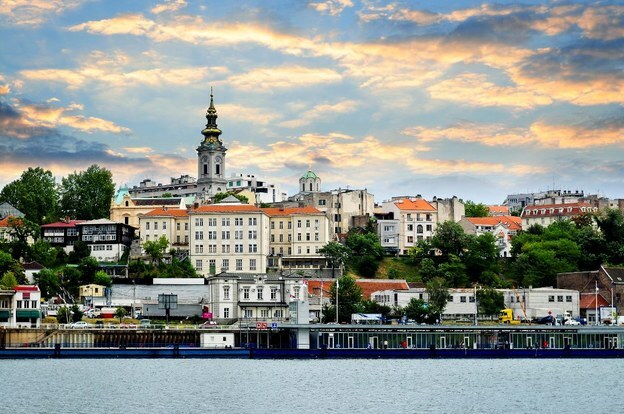 You can find out more about visiting Belgrade and Serbia at Serbia Travel Flights to Serbia with Air Serbia (9 flights a week from Heathrow), Wizz (3 times a week from Luton) and connecting flights from all UK regional airports over Europe to Belgrade. The Royal Palaces tour must be booked in advance. The limit per group is up to 50 people. Belgrade Serbia is the best city that I ever visited. I was there recently- August 12 to August 19. Dušan the Mighty was Emperor(Tsar).